What made you want to create spirits ? I think it must be in our family DNA, somehow. As a young man, my father had a small commerce with flavoured rums which he developed with fruits, herbs and spices from Mauritius. I remember that his car almost broke down with the weight of all the bottles in the trunk. He made his own rum, bottled it and delivered to the doorstep of his clients! You must know that at that time, travelling around the island was quite adventurous and shops were sparse. And when did you take over ? During my studies, I was already well-known for my very own Litchee Liqueur. I was too young to drink it, but was told that it was very good. This Litchee Liqueur was actually the reason why the company is called Litchquor, a word play between Litchee and Liquor. There are very few bottles available today but I think that I’ll probably soon add it to our range. It’s history and it should stay. Mauritius is picking up as a rum producer. In the past few years, I have met with many decision-makers and have been inspired by talks with Master Blenders and Brand Ambassadors around the world. This made me realize that Mauritius, despite its long tradition, is still at the beginning when it comes to export and international marketing of its rums. This creates a very exciting opportunity to close the gap. Out of the many ideas, I wanted to create a wholly unique spirit from Mauritius and ventured into extensive research. Trial and error, if you want. And Gold of Mauritius was discovered – nearly by accident. Nowadays, development continues and other products are in preparation for the coming years. What is the volume of your production today ? personally supervised and with selective distribution channels. This makes us a micro-producer in world-wide comparison. What is the creative idea behind Gold of Mauritius ? The idea was to pay tribute to my homeland, this island with its breath-taking landscapes, the spectacular mountain peaks, the white beaches, blue lagoons and especially to the multi-cultural population, their traditions and their smiles. An amalgamation of all these treasures of Mauritius. With this in mind, I wanted Gold of Mauritius to exhibit its’ many facets, in elegance and beauty. The result is a light and mouthful golden liquid with a discreetly luxurious product packaging. I am very pleased with the outcome. Can you point out the main elements of the production process that influence the final taste of Gold of Mauritius? In the production process I use elements of different origins: the rum is 100% Mauritian, the production method is inspired by the South and Central American procedures and the barrels come from South Africa. Again: as the island itself, this variety in influences perfectly reflects the different cultural backgrounds which are reunited in Mauritius. Do you have a favourite food pairing for your Rum? Personally, I like it pure, after a good meal and maybe accompanied by a cigar. We carried out tastings and found out that it goes particularly well with grilled red meat and – a surprise – spiced curries! And what will your next product look like? We have just presented Solera 5 years of Gold of Mauritius to an international audience. It is a continuation in the line of creating our own identity. How do you promote your products ? We work with very well selected distribution partners and one of the criteria is that they share our passion for the products. So far, we are very happy about the feedback which we receive from professionals from many countries, practically on a daily basis. Be it bartenders, retailers or consumers, we love to hear from them. A lot happens through word-of-mouth of course, and in partnership with our importers we also organize tastings and trainings. 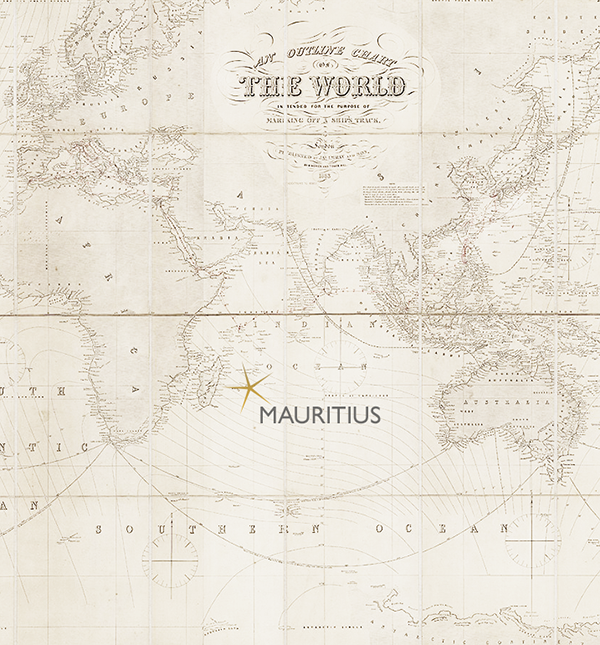 Our motto is “Dreaming Mauritius” – when you sip Gold of Mauritius, you’ll understand why!